Our 3D creation process is based on high-end video game technology. It allows us to create a realistic model of the building from CAD or BIM files. Based on this virtual model, creating many videos, renderings or virtual visits is as simple as taking a picture. Our goal is to make the project management easier than before. This first step is crucial for us to understand your project. It is also the right moment to send us information about materials, types of furniture or any useful information. Just choose what you want us to modelize and furnish. If you have a BIM pipeline (REVIT, ArchiCAD ...), we can use BIM files to create our 3D models. Depending on the quality of the BIM file you provide, we have more or less work to build your project. 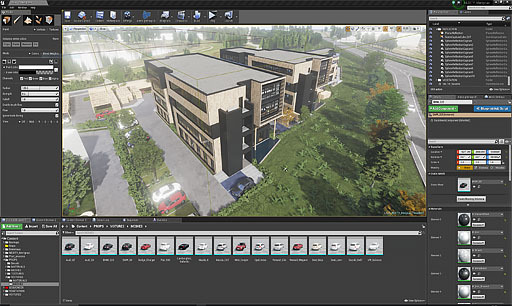 To create high-end virtual buildings, we work with the world's most famous video game engine: Unreal Engine. Most of today's awarded video games come from this game engine. Unlike 'pre-calculated production pipeline' you don't have to wait hours to render images and videos. The bigger the project, the more expensive it is. Period. You can ask us to furnish, light and decorate your project or send us your floor plans. Above is an example of an exterior's virtual model. We can change lighting, materials, and foliage and visualize the result on the fly. Design can also be edited in real time. It includes furniture, lighting, and materials. As many of our clients in different time frames, we developed valuable expertise in remote projects management. A big part of the project's reviewing is done with online software such as Review Studio. 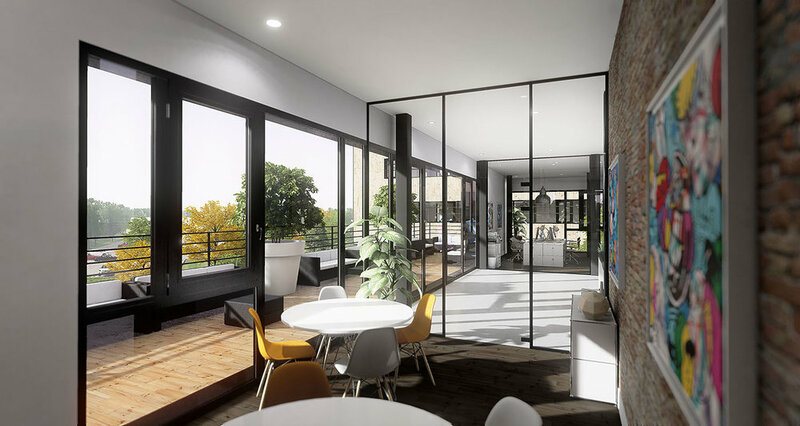 We post several renderings and videos in a dedicated space online. Clients have to sketch and add comments directly to the renderings. Reviewing process can be done with smartphone, tablet or on a dedicated website. Then, we apply the modifications on the project and iterate the process. When needed, we can set up a virtual meeting where everyone can chat and brainstorm together. All the comments are saved, so keeping track of the project's evolution is natural. Markups can be easily made on the renderings. Most of the time, reviews are done on a walkthrough video. This way, you have a clear overview of your whole project. As soon as you approve the virtual model, we can start delivering the media. 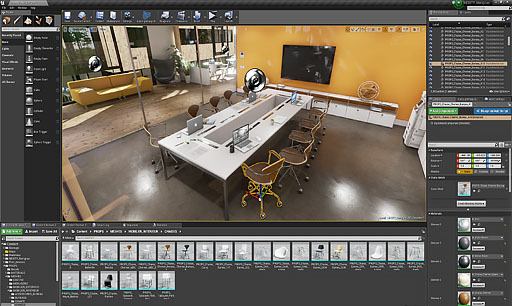 You can choose between a broad range of media such as renderings, videos, 360° panoramas, walkthrough application (PC only), etc. It's easier and faster than before to create a massive amount of media quickly. As everything comes from the same virtual model, you have a perfect consistency in every media.